The big day is here! 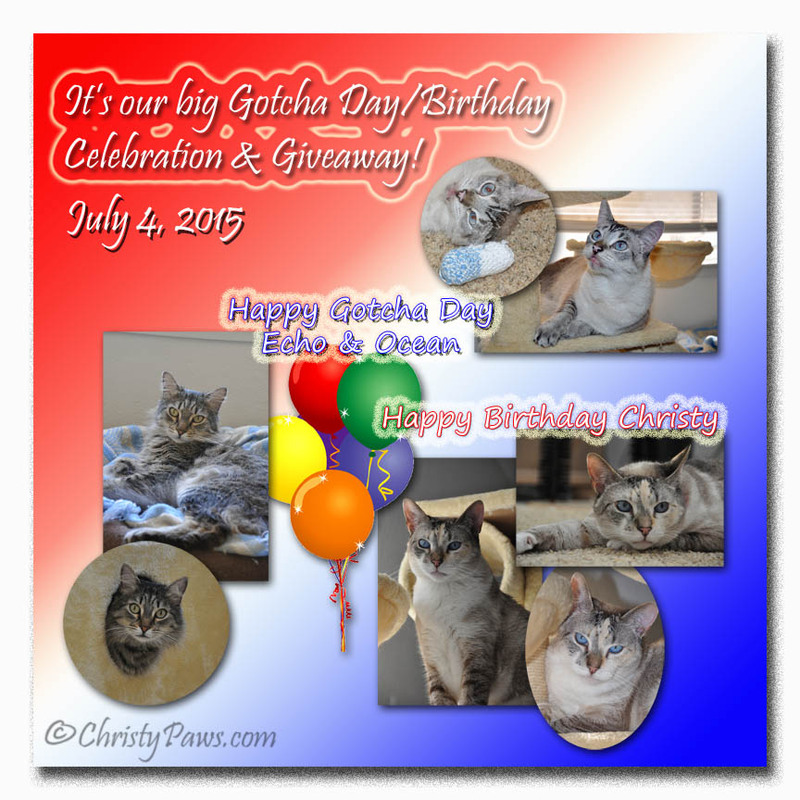 Our big Gotcha Day/Birthday Celebration & Giveaway. I’m not sure which day is bigger, this one or our one-year blogoversary which is the end of next month. Look for a celebration then too! While you are here, enjoy the fireworks! It’s a safe place to watch them. But back to today. 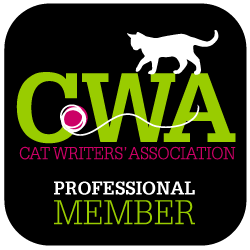 As you may have read on the blog, and I have found this is very common with my furiends since so many of us are adopted (YAY! ), we don’t really know any of our birthdays. 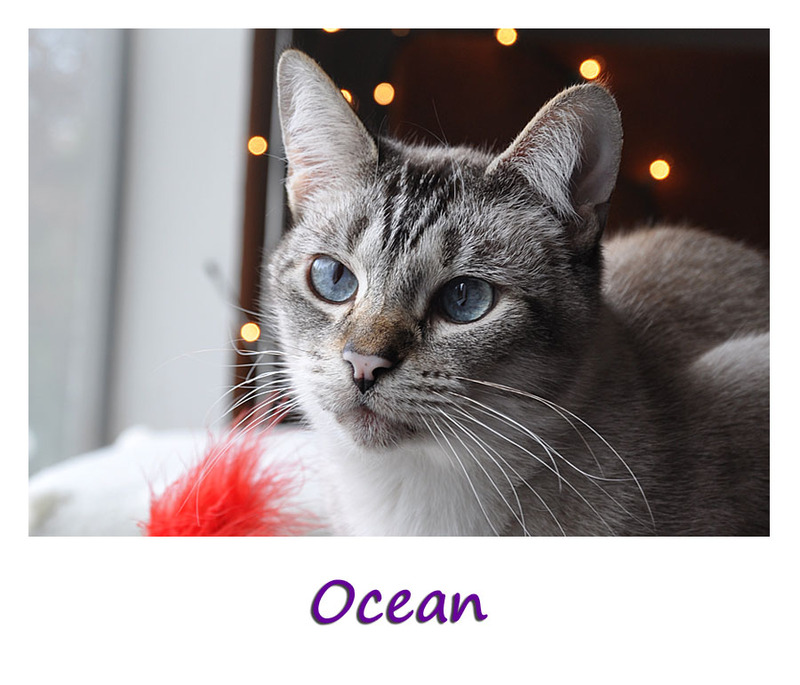 Echo and Ocean came as fosters at around the same time near the 4th of July and I was most likely born early in July so mom picked this day for us to celebrate. We know you are busy, probably doing your own celebrating today if you live in the US, and we sure are happy you took some time out of your day to visit and celebrate with us. We won’t keep you long! We didn’t plan a big party. Instead, we are having a giveaway. Don’t you feel great when you can give things away? When mom saw Summer’s post about how Nip and Bones was having a rough time, we decided ordering from them for our giveaway would be a win-win. We ordered several items including the mystery box, which has five toys in it. 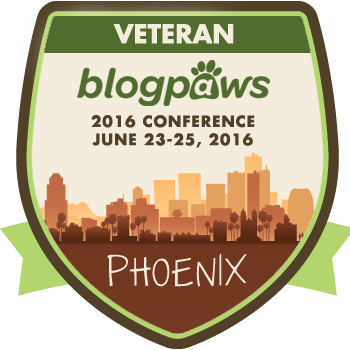 Also, mom is going to add a couple of things from BlogPaws. I’m sure you will be delighted if you are the winner! I know a lot of you ordered from Nip and Bones after the post so I hope that won’t keep you from entering. A kitty can never have too many toys, right? Besides, if you win and don’t need them, you can always donate them to a rescue or shelter. Leave a blog comment to enter and open options to earn additional entries. The giveaway ends Sunday, 7/12, at 12:00am EST. This is a kitty prize package for US and Canada residents only. I promise I will have something that includes my woofie pals next time. Yes, I love my woofie pals on the other side of the computer screen. I’m still working on liking them in person! 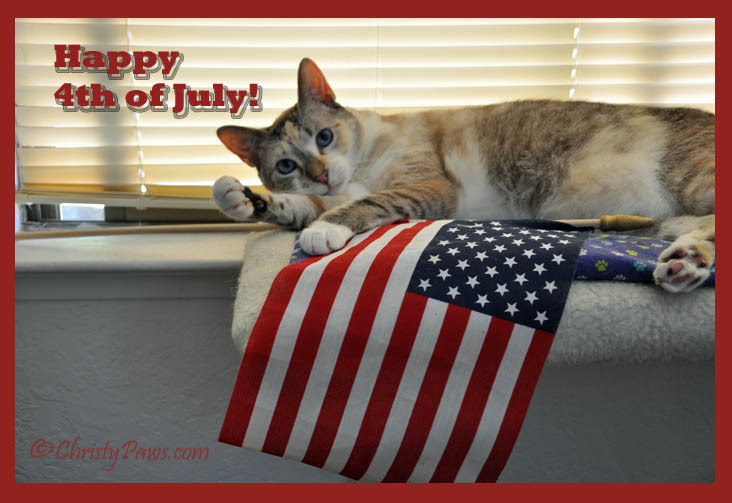 We are entering several blog hops today to help spread the word about the giveaway and to wish everyone a safe and happy Fourth of July. I usually celebrate my birthday by going out to dinner, or sometimes going away for the weekend to a bed & breakfast, etc. Sorry we are late! We meant to come by on Saturday to wish you a Happy Birthday/Gotcha Day! We hope it was the best one yet and that you have many, many more! Happy Gotcha Day to Echo and Ocean and Happy Birthday to Christy! I’m sorry I missed leaving a comment. I actually came here to read this post and not sure what I did next. It’s so nice of you to do a giveaway! We hope you had good celebrations! You Gotcha/birthday graphic is so cute! Wee wishes all of youss’ “Happy Efurryfing” an a yeer full of ‘happy’ fur all!!!! 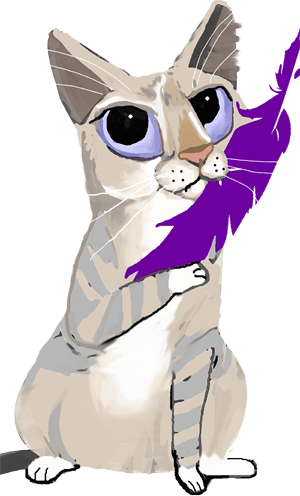 Yur wunderfull to help out Nip an Boness an do a giveaway… Purrfect!!! Wow, what a big celebration at your house! What you are doing for your giveaway is great! 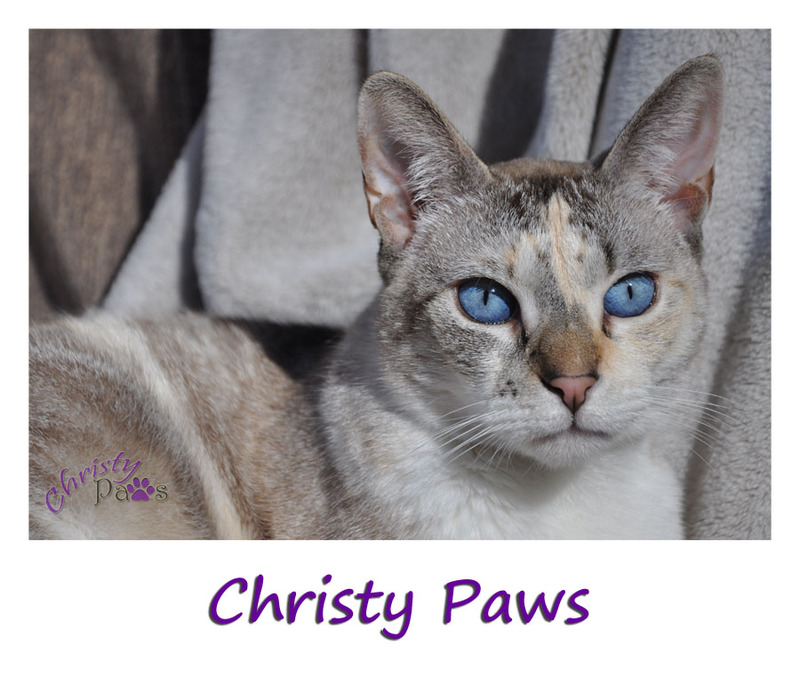 Happy Gotcha Day to Echo and Ocean and Happy Birthday to you Christy Paws…we hope you are having an awesome day and a Happy 4th of July! What a fabulishious Day to has a birthday! And HAppy Independence Day to all of yous from all of us! Happy Gotcha Day/Birthday and everything else. How nice of you to sponsor a giveaway with Nip and Bones item. 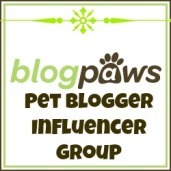 What a pawsome giveaway! Happy Gotcha Day, Birthday, and 4th of July!!! Happy Gotcha Day to all of you! We celebrate our Gotcha Days too. Well, Wally celebrates his actual birthday because he’s the only one out of the 3 of us that actually knows his birthdate. Happy Happy Birthday!!! Happy Happy Gotcha Day!!!!!!! Happy 4th!!! Good luck to all who enter! We have many toys that we bought from Nip & Bones so we are going to pass. Good luck to all! Happy Gottcha Day friends. We hope it’s a good one for you. Happy 4th too. Wow a really big day – your gotcha day and the nations birthday of independence. KABOOM! Happy Gotcha Day and Blogaversary my friends. Also a delightful 4th of July or Independence Day to the whold dang family and big hugs too. Happy Birthday/Gotcha, 4th of July, etc. It’s a great day to celebrate. We don’t celebrate special days here anymore so I’d love some new toys. What an occasion. Happy Celebrating!!! We are so glad to see so many bloggers supporting Nip and Bones. That’s a lot to celebrate! Happy birthday pretty Christy, and happy gotcha day to Echo and Ocean. It’s nice of you to support Nip and Bones. Oh Christy this be so cool. Happy Meowday to you and Happy Gotchaday to Ocean and Echo. We luv a lot of da Nip and bones stuffs but even on sale it’s not in our budget, so we wuld fur sure luv to win. Fanks fur sharin’ yous Meowday cheer. Hope yous day is purrfect. 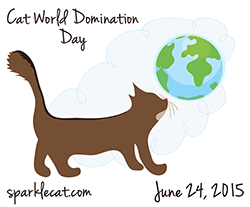 Weez celebwate all mumff long cuz meez Meowday is on da 1st and sis Lexi’s is on da 29ff. Mommy never has money on eever of those days, so she just sed weez celbwate all mumff long so hopefully she will have a few dollaws sumtime dat mumff. MOL And she also sez it’s cuz we be so special we deserve to be queens fur da whole mumff. Don;t tell her, weez queens all da time. Happy Celebrating! Most of our fireworks are far enough away for Mommy to see and me to sleep!. How cool for all of you to celebrate your birthdays on the same day! Happy Birthday, and even better, Happy Gotcha Day!!! We love adoption. Happy happy Gotcha and Birthday Christy!! Pawesome Give-aWay and Applawze to your collage and In-Home fireworks. Celebration without the traffic jams! Happy Independence Day from all of us! Happy 4th of July! What a sweet idea to help friends and have a giveaway. Lots of celebrating going on at your house today! Happy Gotcha Day and Birthday! Now those are the kind of fireworks we like to watch. Stay safe today! Happy Gotcha Day and Birthday, boy do you have a lot to celebrate. When Mommy remembers we has a blog party for our special days. If she forgets we at least get extra treats and something extra yummy when our friends remind her. We love Nip and Bones we got a terrific carrier from them. WOW! What a lot of stuff to celebrate! 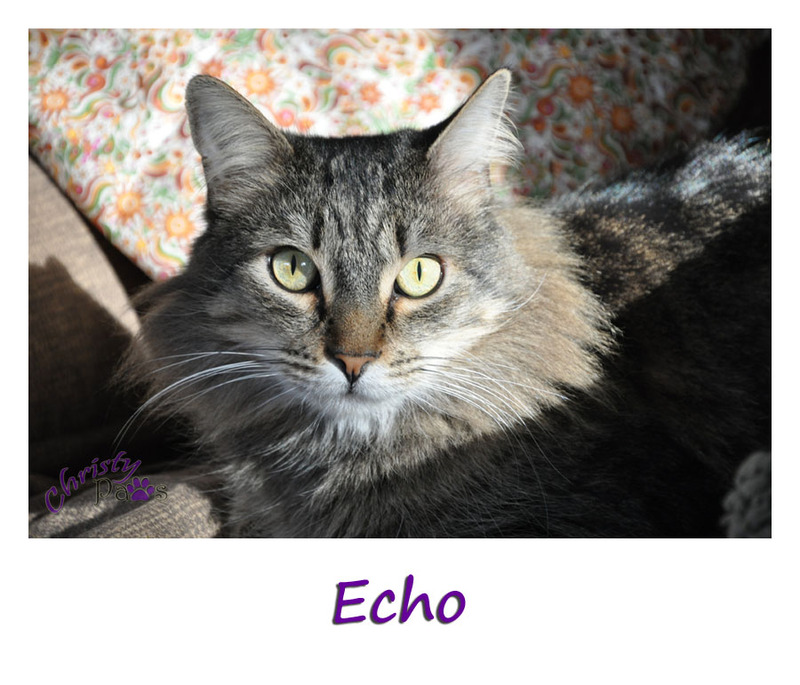 Happy Gotcha to Echo and Ocean and Happy Birthday to you Christy…..super giveaway and a very generous thing to do since it’s YOUR special day. 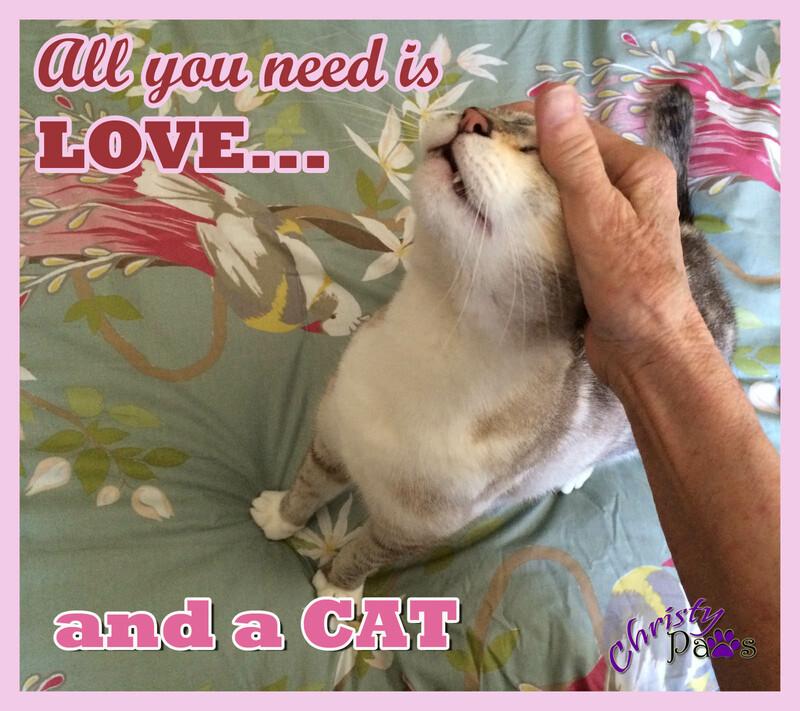 We hope your day is full of fun, and treats and hugs – LOTS of hugs! Happy gotcha day/ birthday and all that stuff! I think it is awesome that you are doing a Nip and Bones-inspired giveaway!